Note that the Flat Tailed Gecko Hemidactylus platyurus looks similar to this species and is also often called the Asian House Gecko, however in Australia that species is only found on on the Cocos (Keeling) Islands. Normally found in and around houses and other buildings. 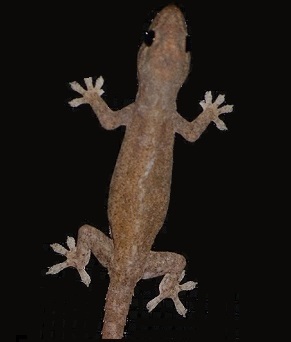 Note the small spines on the tail which do not occur on the native Australian "House" geckos. However if an Asian house gecko has a regrown tail it will have none of the small spines!